Search Engine Optimization (SEO) and website strategy go hand in hand like two birds of a feather. The reason most people decide to invest in building a website is so that their target audience can search and find them when considering related products or services. But without optimizing each webpage for search engines, you’re pretty much flying solo. 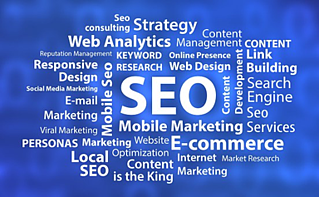 In order for your website to rank higher than your competitors in search engine query results, such as Google, Yahoo and Bing, you will need to build search engine optimization (SEO) tactics into your website strategy. The most important goal of building your website is to ensure it is easily found by both your target audience and search engines alike. Some of us assume that search engines are extremely sophisticated and will automatically find our website. Better understanding the importance of including SEO in your website strategy helps us to understand that a search engine doesn’t actually interpret a web page the same way a human can. SEO tactics are what help the engines figure out what each page is about, and how it may be useful for users. It’s important to learn how search engines determine which websites are the most relevant to the keyword being searched. They will not only crawl your website looking for relevant content and links, but will additionally put emphasis on your website speed, number of visitors and whether or not your site has a mobile responsive design. Search engines will then use the information to build an index. All of this determines how you rank in search engine results. First things first. There are benefits to defining your target audience and needs rather than jumping straight into keyword research. It’s important to know who your target is, whether it be their work title, age or gender. Understanding who they are and their frustrations will better help you build a keyword list and define a content strategy. Being able to create great content is knowing your relevant keywords upfront. You will be including them in headlines and throughout your webpages so having researched your keywords before you begin writing makes the process so much smoother and SEO friendly. Here is a free keyword generator tool to help you get started on building your keyword list. SEO and content marketing go hand in hand. While SEO is more technical and to the point, content marketing is broader and holistic. The two strategies overlap because you must pepper your technical SEO i.e. keywords, into the body of your holistic content marketing in order for it to be effective. The content should be tailor-made for your audience so that they find it useful and are more likely to read and engage with it. In order to have a successful content marketing strategy it is essential that you regularly update your website with blogs, whitepapers and other forms of content. Creating a link building strategy for your website is a great way to move up the rankings. The more high-quality websites that link to you, the more likely you are to rank well in search results. Other related websites that link to you essentially validate your company as a legitimate player. For instance, consider who are your industry advisors and market researchers that are producing relevant reports. Approach these companies to ensure you are included in their next report. This provides you with an opportunity to include your website URL in their reports. This provides validation to search engine’s in their ranking considerations of your website. The Mezzanine Group Team knows different tactics are needed to match different strategies and goals. We have created and implemented some of the best SEO website strategies around. Contact us here at The Mezzanine Group to accelerate your next online project.